A motion was made to approve the minutes. Motion made by Vice Mayor Rowe, Seconded by Councilman Bloom. Pastor Leonard Lord: 8114 Leo Kidd Avenue – invited City Council to a Community Fish Fry on October 31, 2018 at 6:00 pm, Care Fest on December 1, 2018, and a community Christmas dinner on December 12, 2018. Kathy Todd: 8301 Congress Street – conveyed to City Council that she had no issues at her home as a result of Hurricane Michael and thanked the Police Department for checking on the residents during the storm. She expressed dissatisfaction with negative information she has read about the City online. Matthew Todd: 8301 Congress Street – thanked the Police Chief, City Manager, and City Council for moving the City forward. He inquired about the possibility of Code Enforcement being moved to the Police Department to provide weekend coverage. He asked when flooding problems in neighborhoods like Candlelight and Old Post Road and Bay Blvd would be remedied. 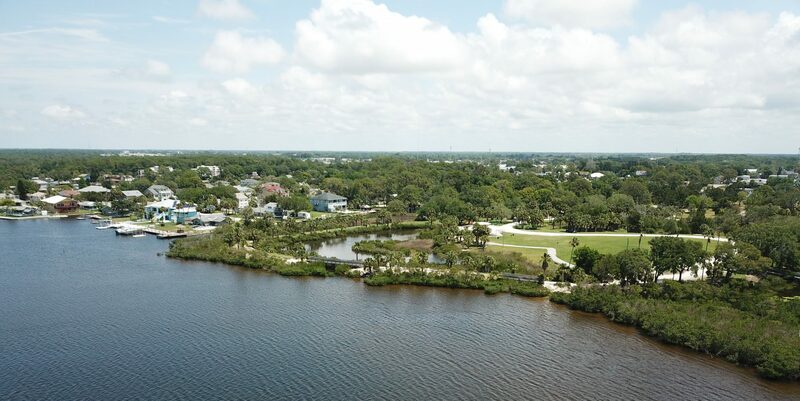 City Manager Vincent Lupo thanked Pasco County and County Commissioner Jack Mariano for the dredging work on Quist Drive and conveyed that it alleviated obstructions in the canal during Hurricane Michael. The City Manager discussed the water report and indicated that production continues to move in a positive direction, without the benefit of increased water rates. He indicated that a rate analysis to determine future expenditures would be forthcoming. The City Manager distributed a report on the activities of the Building Department. Public Works/Utilities Director Chris Hughes distributed photos to the City Council and spoke about the completion of the kayak launch at Waterfront Park. He indicated that it would be open to the public on Wednesday, October 24. The City Manager spoke of a new process whereby reports of activities from the Police Department would be sent to his office and then distributed to City Council. Vice Mayor Rowe expressed sympathies to David Lepore and his family as a result of the sudden passing of his wife, Eldene Lepore. Councilman Bloom addressed the lack of code enforcement on weekends and indicated that he had gotten complaints from residents. Councilman Bloom made a motion to discuss and vote that Code Enforcement be turned over to the Police Department. Vice Mayor Rowe seconded the motion for discussion. Councilman Dittmer suggested it may be good to give the Police Department some authority over Code Enforcement. The City Manager conveyed that one problem with that suggestion is that Code Enforcement Officers do not carry weapons. He indicated that every member of his organization is an observer and reports any instances with respect to code violations. He indicated that the Police Department does pictures on weekends and reports them back to Code Enforcement. Planning Director Bill Muse suggested that this had been done in the past and felt that it was not effective and moved Code Enforcement back to the Building Department. Police Chief DeCanio felt that there was a good relationship with the Building Department and that it was currently working well. Councilman Bloom withdrew his motion. Commissioner Jack Mariano expressed that these were exciting times for Port Richey with RESTORE Act funding and the progress on the project under US 19. Commissioner Mariano discussed the County and City legislative priorities. Mayor Massad thanked Commissioner Mariano for his help on the Quist Drive dredging project during Hurricane Michael. Commissioner Mariano offered to help with any other projects in the future. Councilman Dittmer asked about the flooding on Bay Blvd and Quist Drive and if the dredging on Quist Drive would alleviate the drainage problem in that area. Public Works/Utilities Director Chris Hughes indicated that it would help, but not solve the problem. There was a discussion about drainage issues in the City. The City Manager indicated that if development continued, an engineering study to address the drainage problems would be needed. Mayor Massad thanked Sgt. Cox and Officer Hartman who assisted him with an incident at his home. A motion was made to approve the consent agenda. Motion made by Councilman Dittmer, Seconded by Vice Mayor Rowe. The City Manager discussed the need for new police cars and indicated that they had been budgeted for purchase in the current fiscal year. Chief DeCanio spoke about the necessity of purchasing new vehicles to replace an aging fleet. He indicated that a considerable amount of money was being spent on repairs for the older vehicles. He indicated that he was able to acquire some used vehicles from Brooksville, but there was still a need to purchase more vehicles. There was a discussion about the 21 cars currently in the fleet and the need to purchase 4 to 5 more to complete the fleet. Chief DeCanio indicated that there would be maintenance packages and extended warranty purchased on the newer vehicles to keep future maintenance costs down. Chief DeCanio indicated that the older vehicles would be surplused at auction. There was a discussion about the additional equipment that would need to be added to the vehicles for a total of $8,000.00 to $10,000.00 per vehicle. The City Manager indicated that there is a need to upgrade the fleet going forward using Penny for Pasco funds. A motion was made to approve the purchase of two (2) 2019 Ford Interceptors from Garber Ford in the amount of $71,293.80. Motion made by Vice Mayor Rowe, Seconded by Councilman Dittmer. The City Attorney explained Ordinance 18-666 and read the ordinance by title only. A motion was made to approve the First Reading of Ordinance 18-666. The City Manager introduced the item to remove the new playground equipment that was installed at Waterfront Park and discussed the consequences of moving the equipment. Planning Director William Muse gave a brief history and description of the park and process that was used to get to this. He discussed costs of removal and new installation. He gave a presentation that detailed a potential new location for the playground near the proposed dog park. Additionally, he discussed other potential options for keeping the playground in its current location and adding terrace seating, redesigning the bathrooms, pavilions, and adding a stage. He compared parks in other jurisdictions, like New Port Richey. He also addressed concerns related to sun exposure. There was discussion about the safety of the equipment and whether removing it would compromise the safety of it. There was a discussion related to the proximity of the equipment to the bathrooms and whether that would be necessary. Availability of seating for park guests was also discussed. Councilman Bloom and Vice Mayor Rowe indicated that they had heard form a number of residents about the location of the playground and indicated that there was dissatisfaction about the location. Other potential locations for the playground equipment were discussed. The City Manager indicated that a previous administration had approved the location and any new location would need to be brought before FRDAP and FCT for their approval and that he would bring the issue back to City Council as to funding concerns. Vice Mayor Rowe indicated that the playground needed to be removed and proposed a workshop in Waterfont Park before the next meeting at 6:00 pm to try to determine another location. Vice Mayor Rowe made a motion to have a workshop in the park at 6:00 pm before the next City Council meeting. Councilman Bloom seconded the motion. A discussion took place about the possibility of having a workshop in the park. Vice Mayor Rowe rescinded his motion. There was a City Council consensus to meet individually with Planning Director Bill Muse at Waterfront Park to discuss other potential locations. Blaine Lee: 5713 Berlin Drive – requested that City Council consider the safety issues and use zones recommended by the manufacturer when the playground is re-installed.